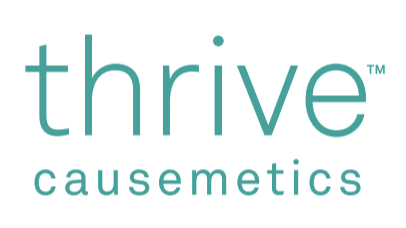 Thrive Causemetics ships to the following countries outside of the United States: Aland Islands, Andorra, Argentina, Australia, Austria, Bahrain, Bangladesh, Barbados, Belarus, Belgium, Bhutan, Bosnia and Herzegovina, British Indian Ocean Territory, Brunei, Bulgaria, Cambodia, Canada, Chile, Columbia, Cook Islands, Costa Rica, Croatia, Cyprus, Czech Republic, Denmark, Ecuador, El Salvador, Estonia, Faroe Islands, Fiji, Finland, France, French Polynesia, Germany, Gerbralter, Greenland, Guatemala, Guernsey, Guyana, Haiti, Holy See (Vatican City State), Honduras, Hong Kong, Hungary, Iceland, India, Indonesia, Ireland, Israel, Italy, Jamaica, Japan, Jersey, Kenya, Kiribati, Korea (Democratic People's Republic of), Lao (People's Democratic Republic), Latvia, Liechtenstein, Lithuania, Luxembourg, Macao, Malaysia, Malta, Mexico, Monaco, Mongolia, Morocco, Netherlands, Netherlands Antilles, New Caledonia, New Zealand, Nigeria, Norfold Island, Norway, Papua New Guinea, Peru, Philippines, Poland, Portugal, Romania, Russia, Saint Kitts and Nevis, Samoa, San Marino, Saudi Arabia, Serbia, Singapore, Slovakia, Slovenia, Solomon Islands, South Africa, South Korea, Suriname, Sweden, Switzerland, Taiwan, Thailand, Timor Leste, Tonga, Turkey, Tuvalu, United Arab Emirates, United Kingdom, United States Minor Outlying Islands, Uruguay, Vanuatu, Vietnam, Virgin Islands, British and Wallis and Futuna. Still have questions, send us a message! If you're on our FAQ page, click the turquoise 'Chat' or 'Support' button below to send us a message. Enter in your contact information and choose 'Order Support' under 'How can we help?'. Enter in any additional details that will help us take care of your question. We will follow up with you ASAP! If you need help with a recommendation, we suggest sending a photo so one of our makeup artists can help with your perfect recommendation. We're more than happy to help you out right away. Thanks for your interest in our mission and products!